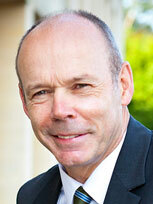 Clive enjoyed a highly successful business career whilst playing International rugby as an amateur. After retiring as a player he began his remarkable coaching career. After success at club level and England U21's Clive became the first ever fulltime professional Head Coach for England. He immediately set about challenging the traditional practices by introducing business principles, setting long term goals, paying attention to detail and planning the personal development of individuals in the basic skills, tactics and strategy of modern rugby. He revolutionised the way the game was coached and played. The role gave him the perfect opportunity to combine his skill and knowledge of business and sport to create a winning team. The resulting transformation of the national side delivered the world number 1 ranking and the ultimate glory of winning the Rugby World Cup in Sydney 2003. Clive was educated at HMS Conway in Anglesey. On leaving school he attended Loughborough University where he gained a Bachelor of Arts degree in Sports Science followed by a Post-Graduate Certificate of Education. On leaving university Clive joined Rank Xerox and simultaneously began his Rugby career at Leicester Rugby Football Club. He has subsequently focused his attention on both the business and sporting worlds, through his involvement with The England Rugby Team and his associated business interests. Clive left Xerox in 1985 and emigrated to Australia where he was offered the post of National Sales Director for Portfolio Leasing- a wholly owned subsidiary of the Ford Motor Company. 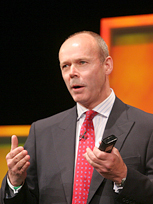 Returning to the UK in 1990 he established his own leasing company, which is still flourishing in spite of his long-term sabbatical into the sporting world! On the rugby front, Clive played his club rugby for the Leicester Tigers and enjoyed considerable representative success with England (capped 21 times) and the British Lions (Toured 1980 and 1983). In addition whilst working in Australia, Clive captained the Sydney Premier Grade side Manly. Following an outstanding career on the field, Clive turned his attention to coaching. He successfully presided over Henley RFC during their unprecedented success in the early 1990's where they gained 3 promotions in as many years. He followed this with coaching positions at Premiership clubs London Irish and Bath. During his spell at Bath, Clive was offered the opportunity of becoming the first ever full time National English Rugby Coach. He has held that position since 1997. Under Clive's tutelage England played a brand of Rugby hitherto unseen in the Northern Hemisphere. 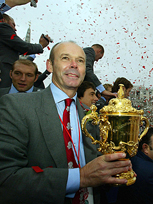 In November 2003 he achieved his ultimate objective of seeing England crowned Rugby World Champions after a dramatic final against Australia. 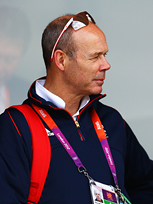 In 2006 he joined the British Olympic Association and, as Director of Sport for Team GB, has worked in close partnership with all key stakeholders in British sport to support our national coaches, athletes and players to deliver the most successful Olympic Games for Team GB in the modern era. The team won 65 medals, including 29 Gold medals, finishing in third position in the overall Olympic medal table. The philosophies inherent in the development of high performance teams are the result of a cross-pollination of ideas from Clive's experience of business and sport. The qualities that identify a leader are common to both business and sporting environments. The ability to think clearly under pressure is as key to success in the boardroom as it is in the cauldron of a sell-out international fixture. Clive's success lies in his ability to communicate and instill often challenging ideas with a practical and proven methodology.